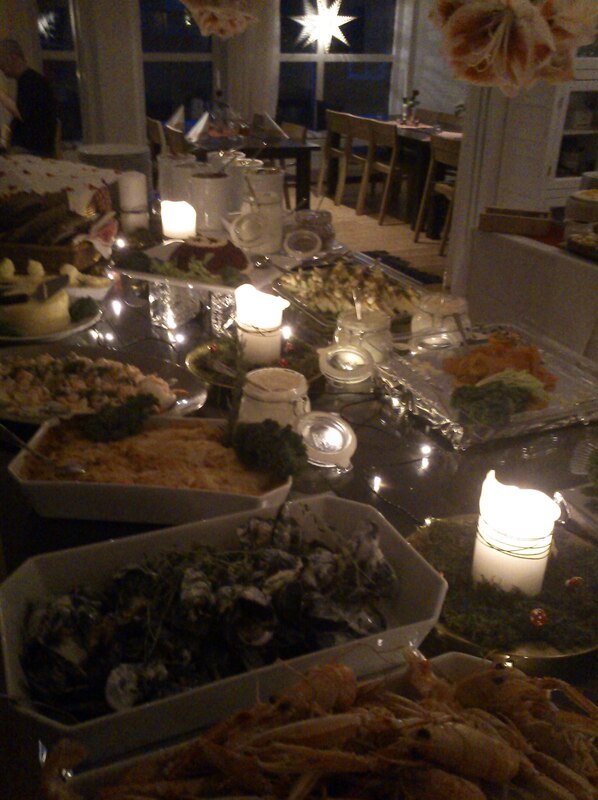 In Sweden there is a tradition to have julbord(a Christmas food buffet) before Christmas. 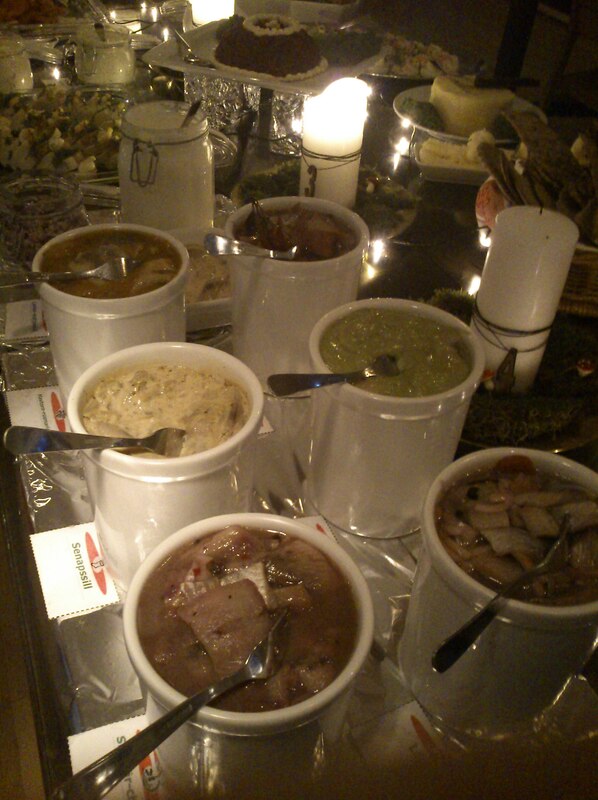 Most companies will treat their staff to a julbord at a restaurant often along with entertainment. We decided to treat a friend for his birthday and at the same time ourselves and booked a meal at Västerhav, a hotel&restaurant at Grötö(porridge island). Our friends(well he’s more a part of the family) motto is when on the island you never leave the island but we agreed that it doesn’t count if you visit one of the other islands in the same archipelago. 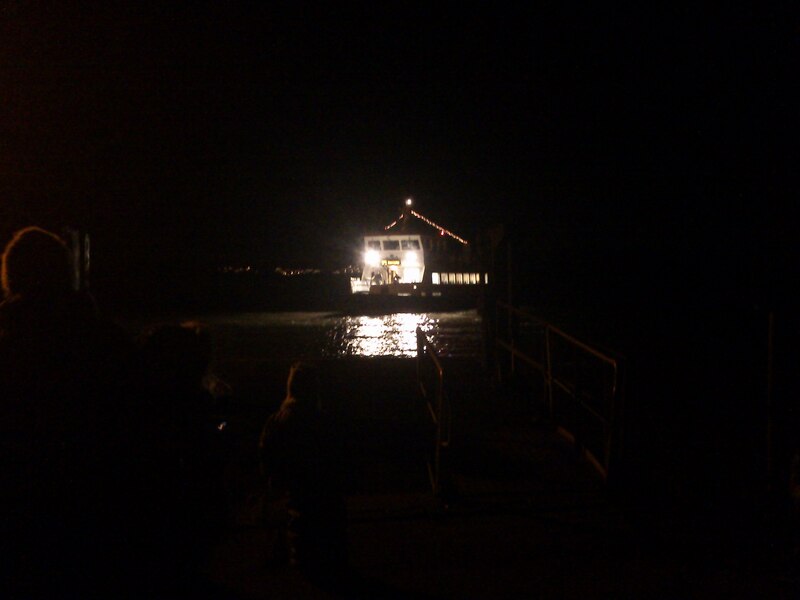 We got on the ferry at sunset, which is now about 3pm. We were welcomed at the restaurant with some warm glögg(Swedish mulled wine). Lucky for us all the other guests had chosen the option to stay the night so while they checked in to their accomodation we had the whole place to ourselves! 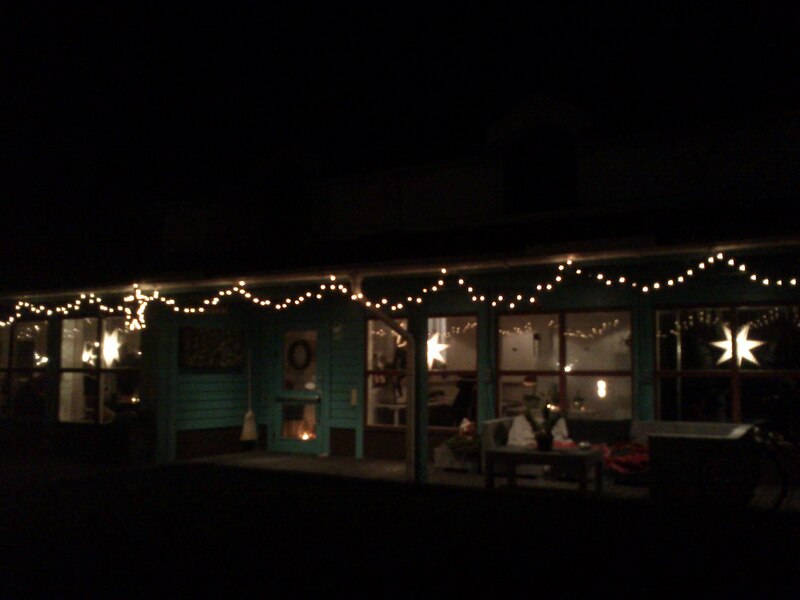 It was absolutely stunning with candles, fireplace, Cristmas decorations and three large tables full of amazing dishes. 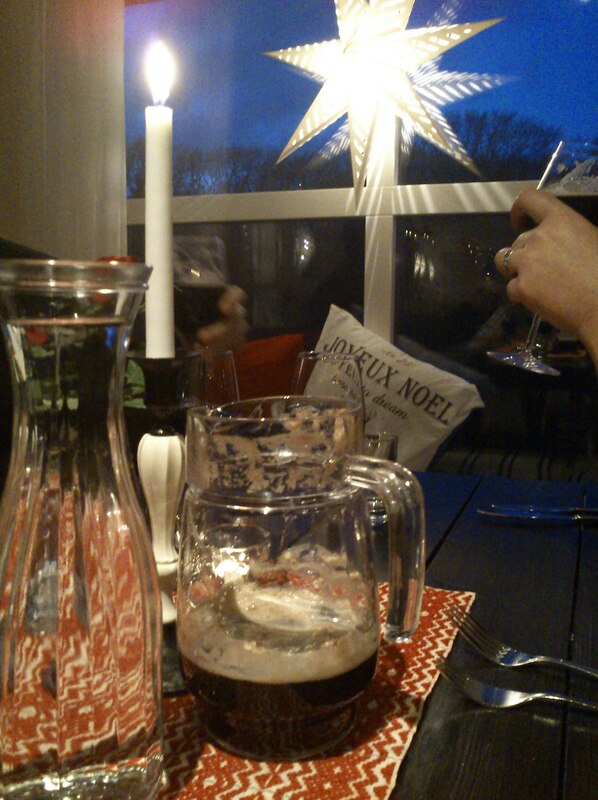 We ordered a jug of Mumma, Christmas beer mixed with red wine, spirit, spices and julmust(traditional non-alcoholic soda). First we attacked the seafood table, salmon, crayfish, 7 types of pickade herring, salmon/horseradish/strong cheese pie, mussels, prawns etc…aaaah it was lovely! Then some red wine and after the meat and cheese table, Christmas ham, boarsausage, moose, meatballs, lots of homemade chutneys and pickles along with stilton, marmelade and crackers. At that point the place had filled up with the rest of the customers and they all did the Snapsvisa, songs they sing and finish with a small glass of schnapps and we got caught along and ordered some homemade sloe schnapps. By that point we were so full we skipped the dessert table, ordered another schnapps and made for the ferry back. 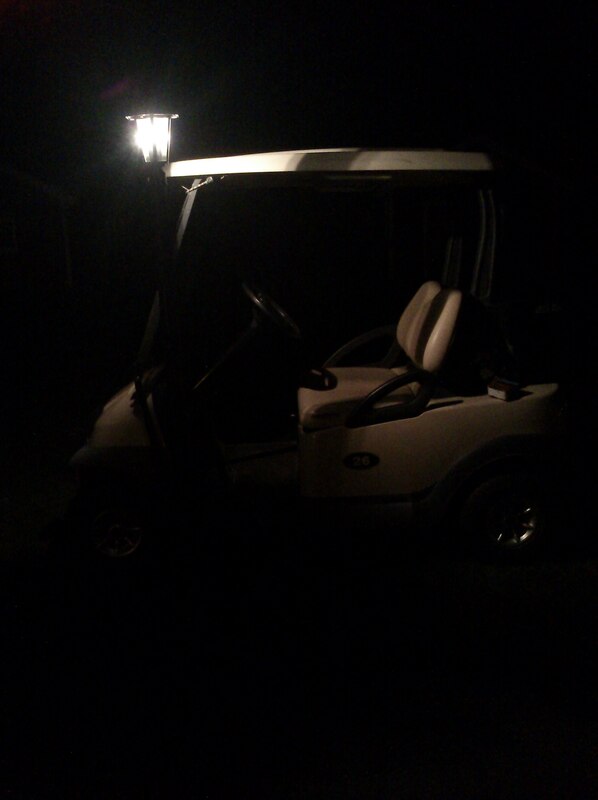 Right outside one of the golfcarts, that they use to transport customers from the ferry, was parked and we discussed nicking it but luckily came to our senses. All in all we agreed that it was a fantastic night and next year we might book the overnight stay so that we can eat, rest and then eat some more. 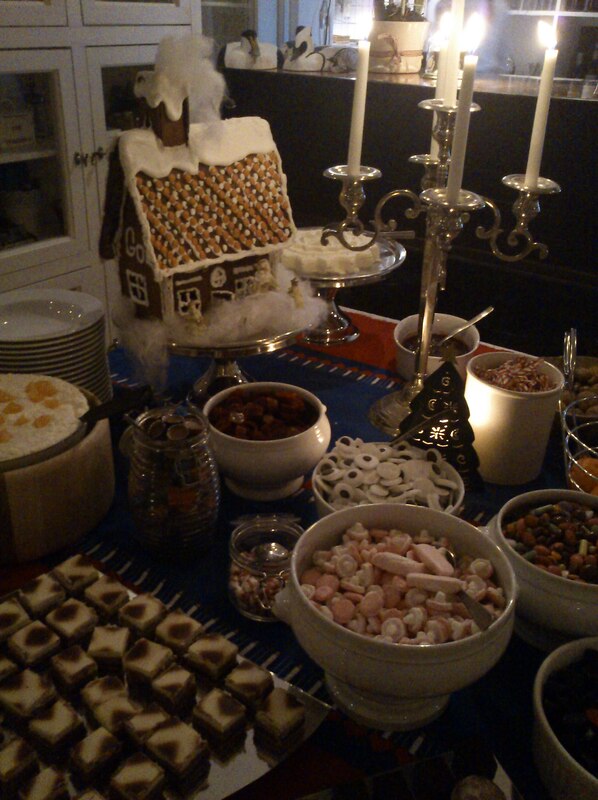 This entry was posted in Hen island, The kitchen, Uncategorized and tagged food, Grötö, hönö, Swedish Christmas, tradition, Västerhav. Bookmark the permalink.